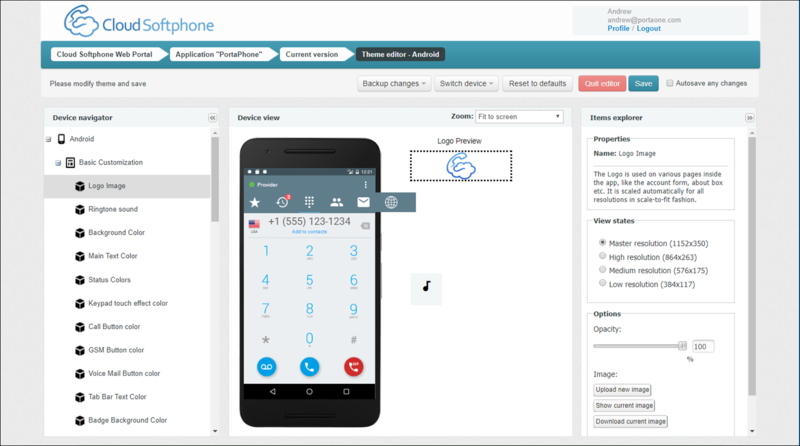 To enable customers to call any city or country using their smartphones or tablets, we recommend PortaPhone – a mobile SIP client that is powered by Acrobits and integrated with PortaSwitch®. 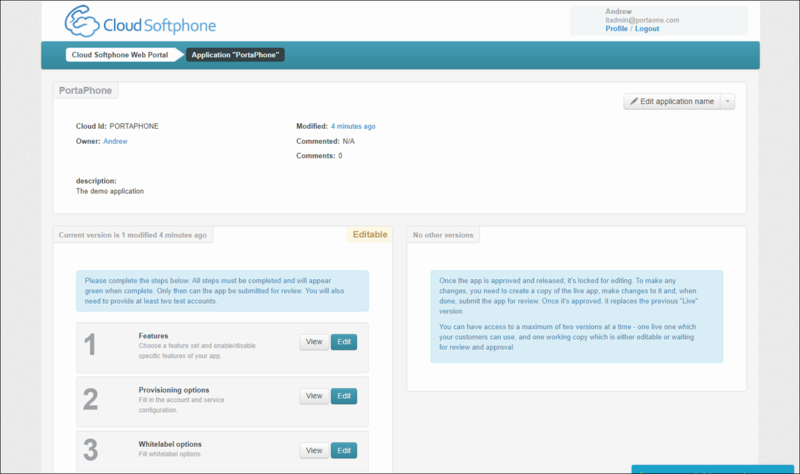 Your customers can download PortaPhone in the Apple AppStore or Google Play directly from their mobile phones. PortaPhone supports voice and video calls, instant messaging, HD sound, balance checker and customizable ringtones. Push notifications ensure that customers receive calls or messages while the app is in the background or even closed, and the app uses very little battery. 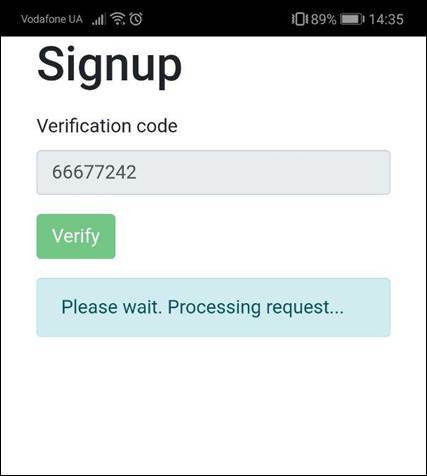 To prevent service abuse and verify user data during signup and provisioning, two-factor authentication via SMS is used. The IP Centrex configuration (e.g. extension dialing, call transfer, call forwarding and voicemail) is unique both for PortaPhone users and owners of IP phones. 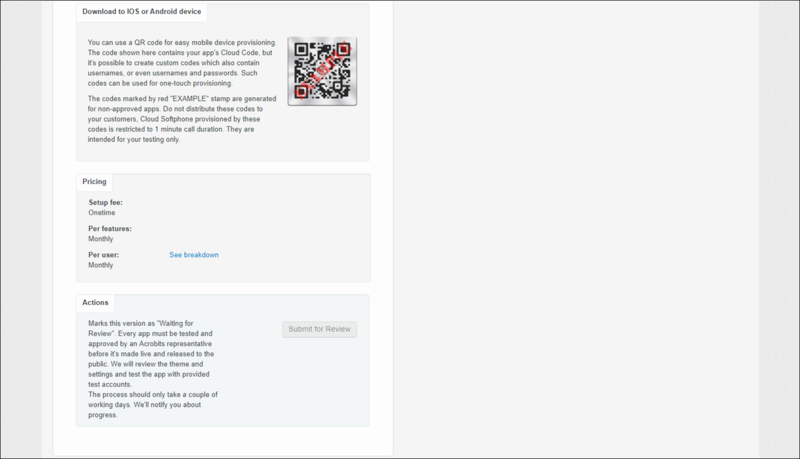 This allows your business customers to use their smartphones as their IP Centrex extensions. You can customize PortaPhone via a configuration web portal and publish it on Google Play or in the App Store under your own name. You can upload your logo, change the graphic design and manage the feature set available to customers. With PortaPhone and PortaSwitch® you have the all-in-one solution to provide services similar to WhatsApp to anyone, anywhere. 4. Publish the application on Google Play or in the Apple App Store to make it available for end users. In this chapter we show you how to configure PortaPhone and provision it to your customers’ smartphones. Your service bundle includes voice calls and on-net messages. 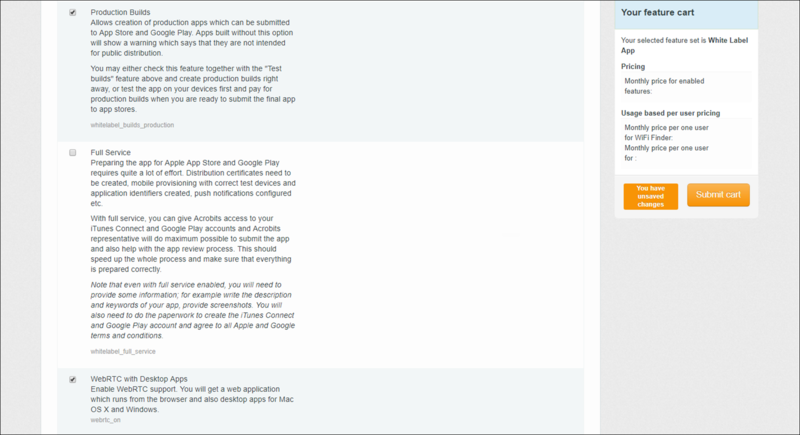 Publishing the app on Google Play or in the Apple App Store is out of the scope of this document. Please refer to the Publish in the App Store and Publish an App on Google Play documents for guidelines. 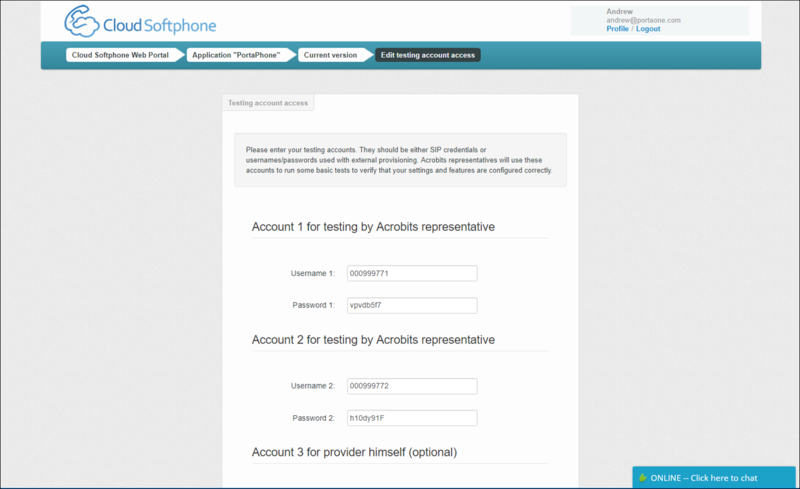 PortaPhone configuration is done on the Acrobits Cloud Softphone web portal. 1. 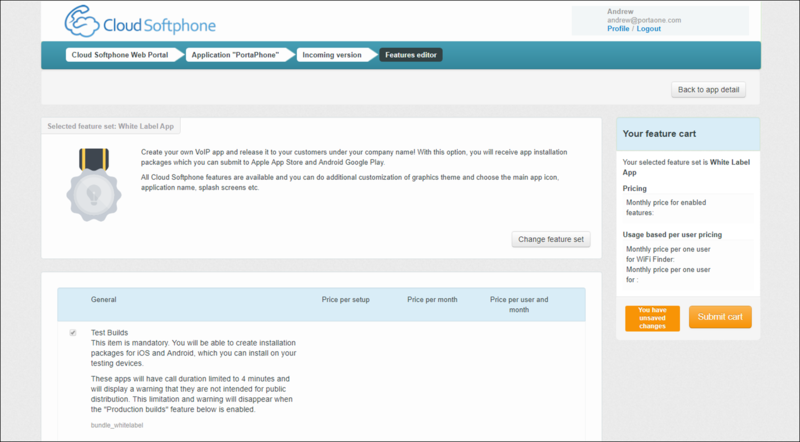 On the Cloud Softphone page, click Create new application. 2. 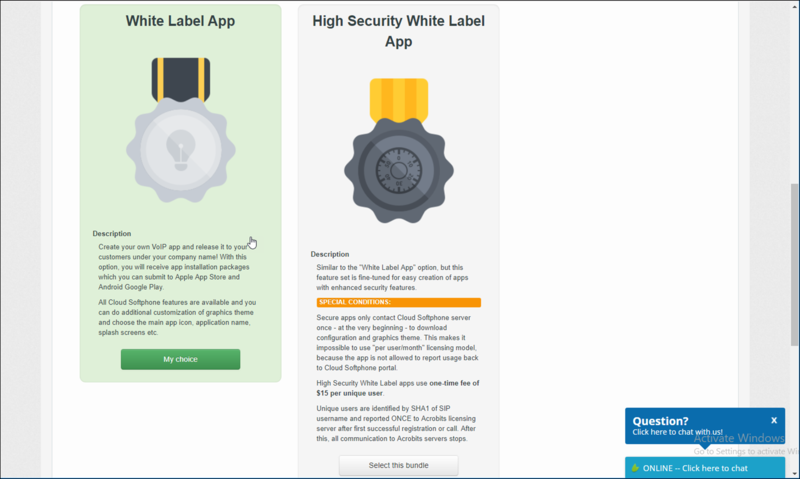 On the Create New Application page, select a White Label App. 3. Fill in the form for a new application. 4. Click Create Application, and then you can see the information about your newly created application. 5. Click on the name of your application; four new sections now appear on the screen. You can view or edit them. 6. In the Features section, select the features you will provide to your end users. 7. Click Submit Cart to add your newly enabled features to the list of services provided by you. 8. 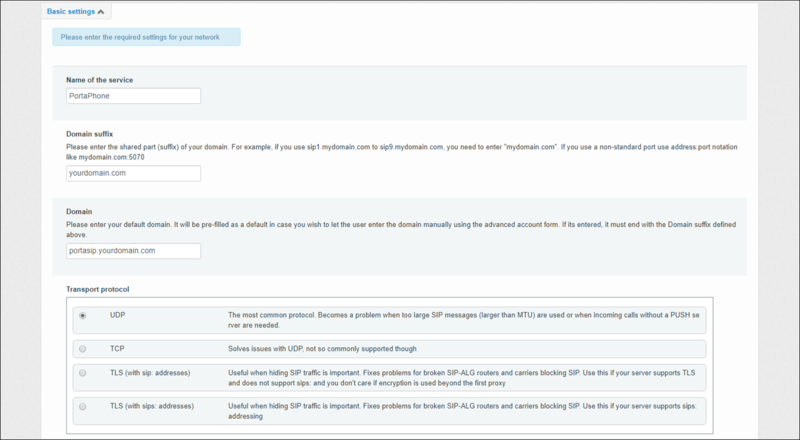 In the Provisioning options screen, enter the required setting for your network. 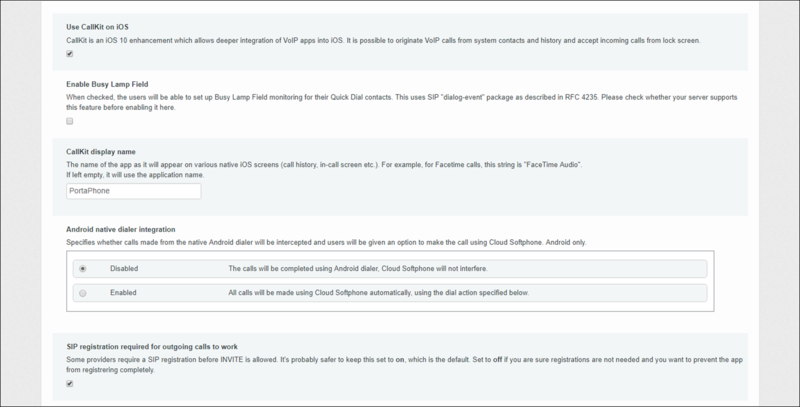 · Incoming Calls for Android – Select the method for incoming calls. In most cases, it is the Push method. 10. 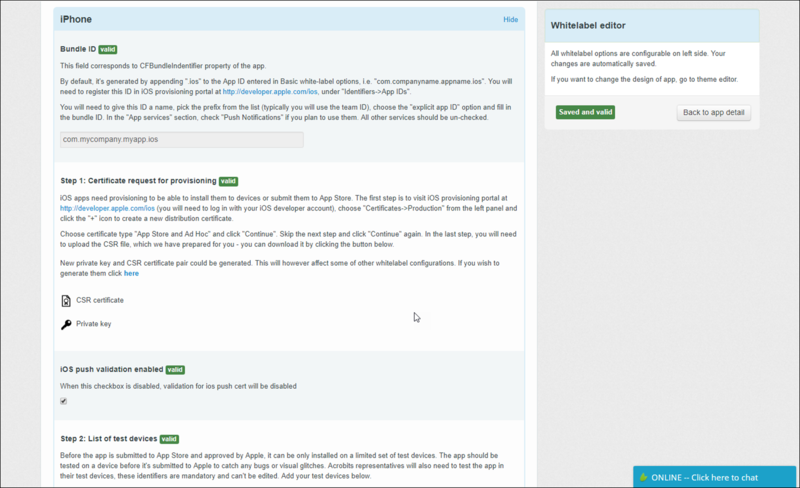 In the White Label options section, customize your application. Specify the app name and identifier, customize the screen view and define the publishing options for the App Store and Google Play. 11. In the Design Theme section, upload the graphic assets and choose a color scheme for your application. You can only do this for iPhone and Android devices. 13. In the Testing Account Settings section, enter two test accounts for conducting some basic tests to verify that your settings and features are configured correctly. Use the instructions provided in the Basic Residential VoIP Service, Instant Messaging Services handbooks to configure the services that you provide to customers within the application. 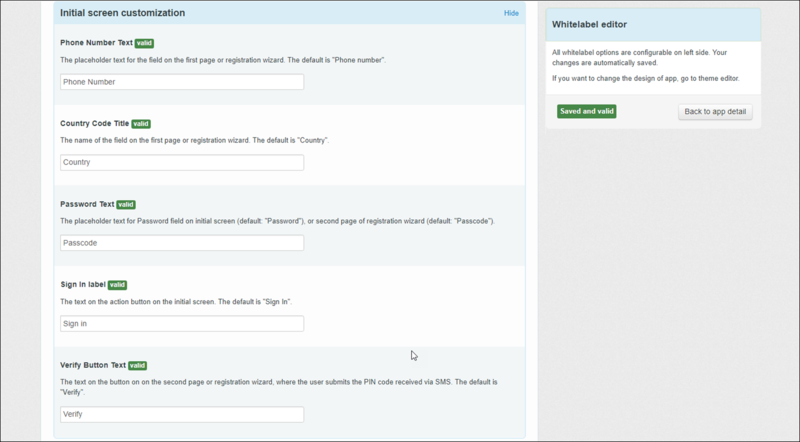 As a result, you create the bundled product that the system assigns to user accounts during signup. To prevent service abuse, a user must pass two-factor authentication via SMS during signup. Thus, you must configure PortaSwitch® to send SMS notifications with one-time passwords to user mobile phones via an SMS provider. 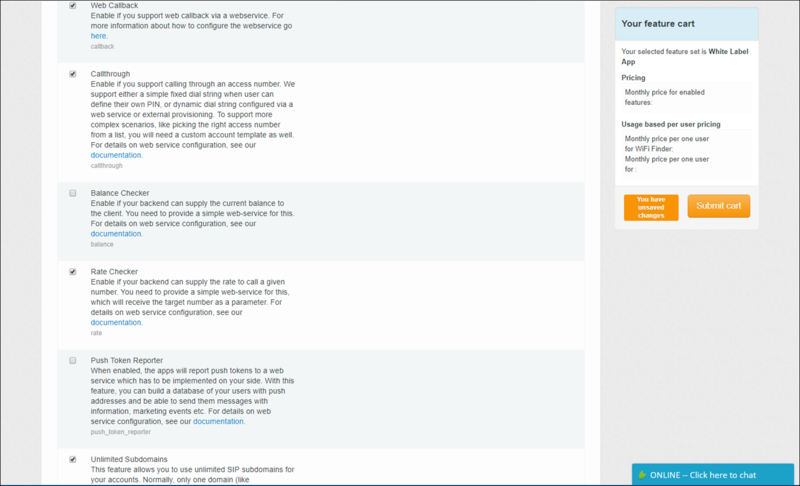 This is the service policy for the internal communication between PortaSIP® and PortaBilling®. It serves to identify the transport protocol and authorization parameters for SMS notification delivery to user phones. 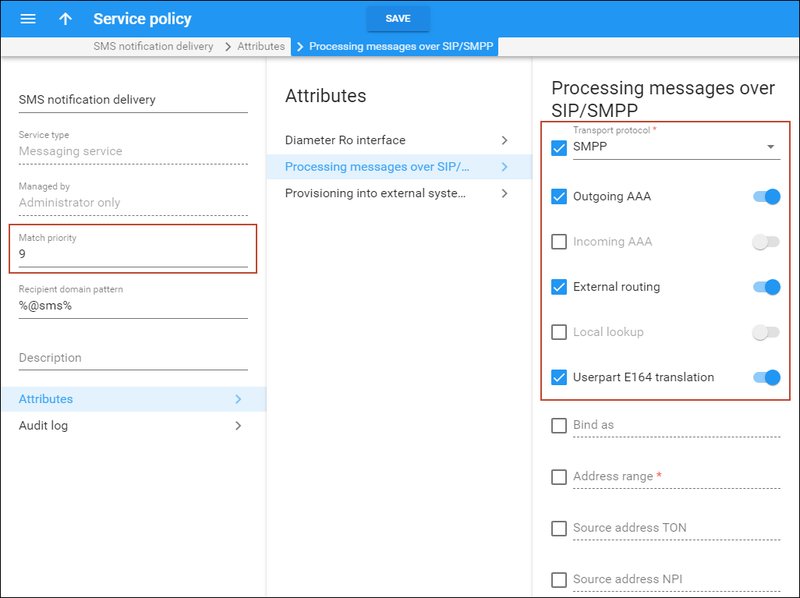 · Name – Specify the name of the service policy (for example, SMS notifications). · Recipient domain pattern – This is a pattern according to which the service policy is selected. For this service policy to apply only to sending SMS notifications with user passwords, specify the %@sms% value here. 3. 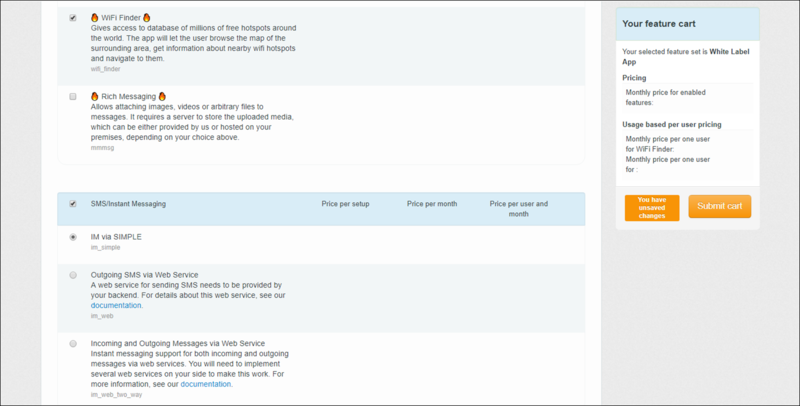 On the Service policy panel that opens, specify the Match priority value. If several domain service policies match for the message processing, the one with higher match priority applies. 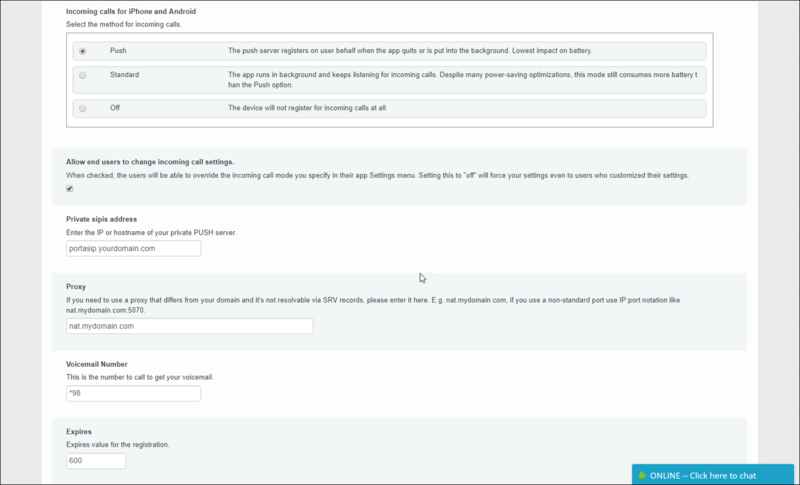 · External routing – Select a checkbox and turn on this attribute. This will allow you to send SMS messages outside of your network. 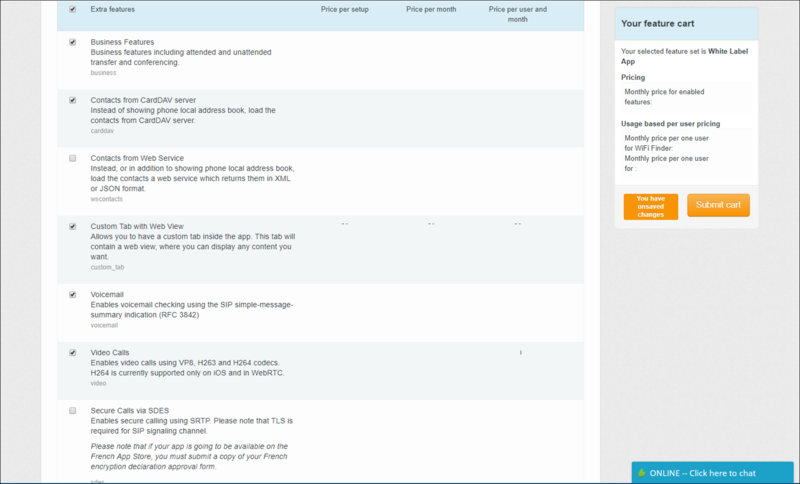 · Outgoing AAA – Select a checkbox and turn on outgoing message authorization and billing. · Userpart E164 translation – Select a checkbox and turn on this attribute. 1. 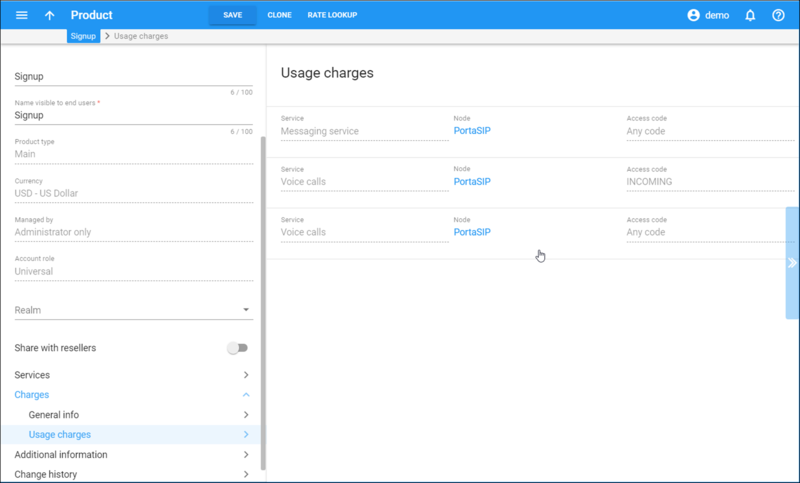 Complete the Create a Service Policy for Vendor Connection, Create a Vendor Tariff, Create a Vendor and Define a Connection steps from the SMS Services handbook to configure the SMS provider who will deliver SMS notifications from PortaSwitch® to user mobile phones. 1. 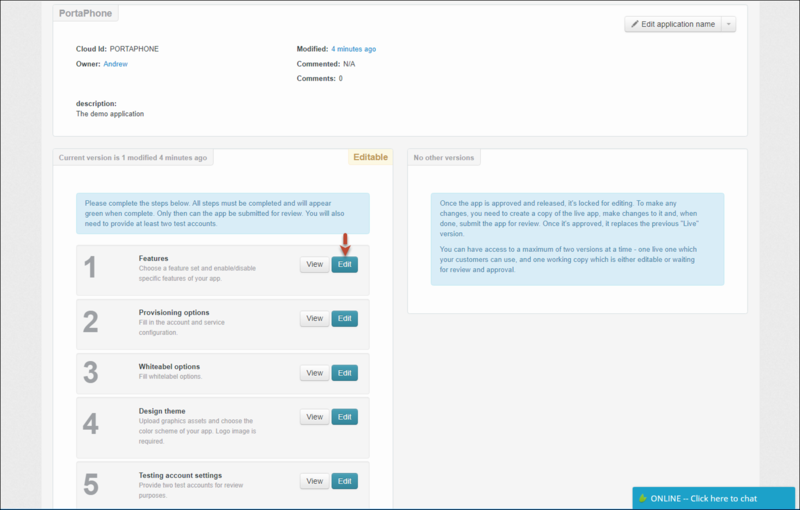 On the Configuration server, clone the existing configuration to modify it. 2. From the configuration tree, select ClusterSuite -> Web Cluster. · SendSmsVia – Select IMGate. · SendSmsFromPhone – Specify the phone number your users will see as the “Sender number” on their phone screens. NOTE: To send SMS notifications from a particular phone number (e.g. 120655521245), the phone number must be provisioned as an account in PortaBilling® and have the product assigned that allows SMSs to be sent to A-Z destinations. 4. Click Verify to verify the configuration. 5. Click Check/Apply to apply the new configuration. 1. Clone the existing configuration to modify it. 2. From the Configuration tree select ClusterSuite->WebCluster. · Enabled – Set this option to Yes. 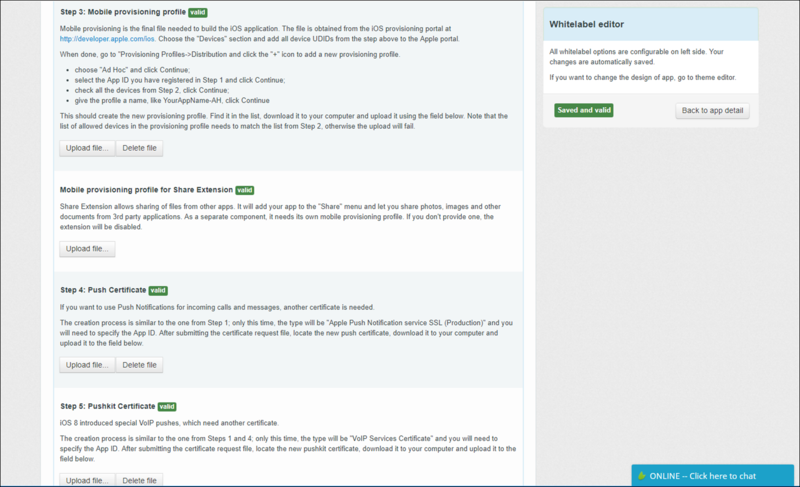 · AccountAction – Leave the default value to either search for existing accounts or create new ones if none are found. 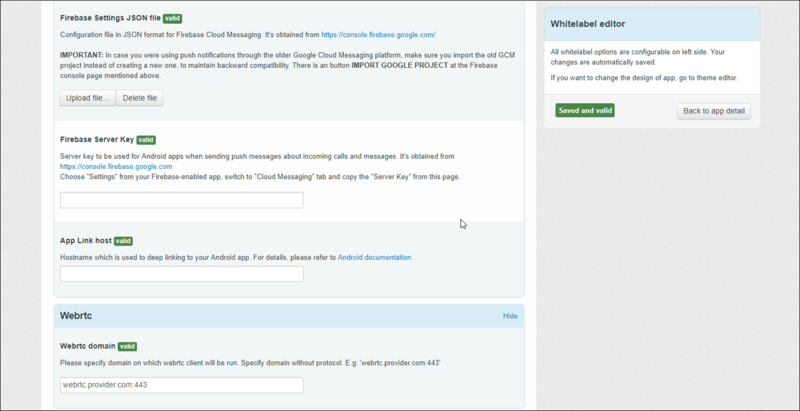 · AcrobitsCloudId – Specify the Cloud ID of the mobile application which you defined during the app creation (e.g. PORTAPHONE). · Currency – Specify the currency in which user accounts will be created, USD by default. · PortaBillingAPILogin – Type in the login to access your web server via the API. · PortaBillingAPIPassword – Type in the password to access your web server via the API. · PortaBillingAPIServerURL – Leave this field empty. By default, the system addresses the PortaBilling® web server via the API during signup. · Product – Type in the product name (e.g. 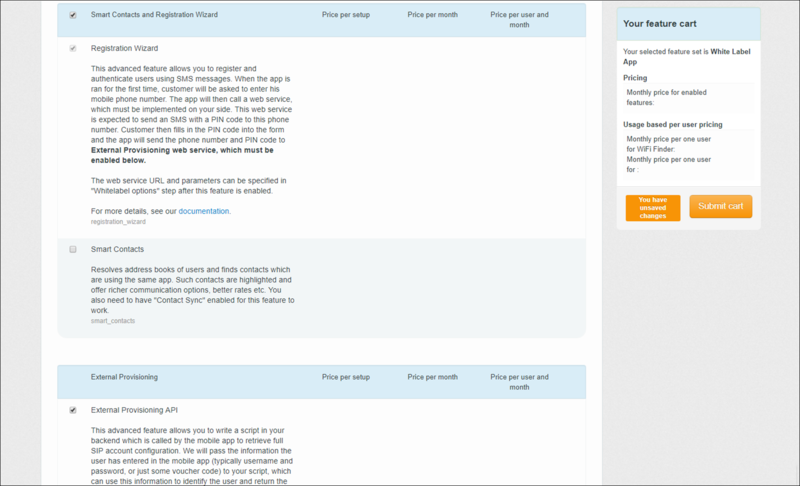 Signup), which your users will be using. 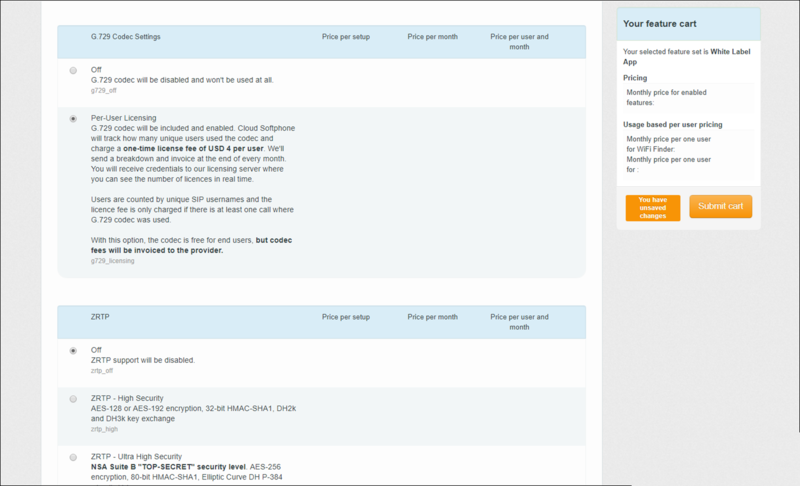 Make sure you have configured the product with the same currency as the Currency option value. · ProvisionURL – Leave this field empty. By default, the system addresses the provisioning module on the PortaBilling® web server via the URL https://<web-server_hostname>/provisioning/Acrobits.html (e.g. https://mycompany.com/provisioning/Acrobits.html). · ServicePasswordComplexity – This is the rule about how to generate and validate service passwords for user accounts. By default, the system generates service passwords as a combination of Latin letters and digits. · ServicePasswordLength – Specify the length for the service password. The default value is 64. 4. Select the billing environment in which your users will sign up for the services. Then in the AcrobitsSignup group, specify the virtual IP address or the hostname of PortaSIP® in the vipaddr field. 6. Click Check/Apply to apply the new configuration. 1. Enter Google Play and search the PortaPhone program. 2. Download it, click the Install button and start the program installation process. 4. 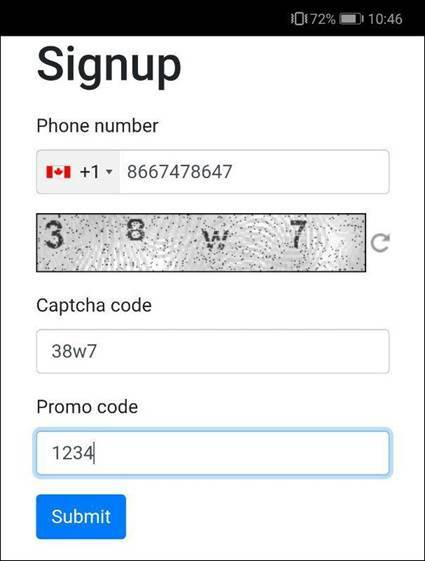 Enter your phone number and CAPTCHA code and click Submit. 5. Enter the one-time password from the SMS sent to your mobile and click Verify. 6. Click the link to open the application. 7. Now you are ready to make calls.